Have you been curious about the modern world of technology and the role of data science in it for a while now? Would you like to dive in a little bit to taste this ocean of wisdom? Maybe I can help you. What is the starting point? I will show you one path that I followed to learn it. You are open to choose yours because ‘you are a free soul’ (philosophical? haha OK let me shut up and come to the point). First step: Learn to program in Python. Why take this first step? Know the reason why to choose Python to lead this journey. I wrote a little motivation in my earlier post DirectMe. How to learn Python? (my answer: you are a free … 😉 ops sorry! I should shut up and focus). I wrote a road map recently DirectMe. Now that you know the motivation and have a minimum required skill-set, learn the basics of data science in Python in a structured way. Why start in a structured way? My answer: until and unless you know enough about how to break that structure, follow it! 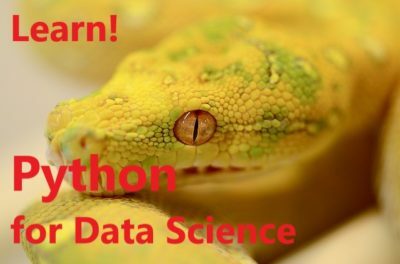 A basic module that I recommend is an introduction to Python for data science at Edx DirectMe. Please note, it is just an introduction, but starting with an introduction always helps. Don’t believe me? Well, you don’t have to. Because you are a free soul (sorry, could not resist saying it this time). After all of this, I think you have enough command to break the structures, make your own rules to learn data science further and satisfy your curiosity (if it exists). In the next post, I will talk about Python data visualizations from basic to intermediate level.